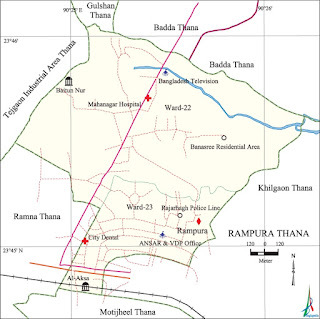 Rampura Thana (Dhaka metropolitan) is bounded by gulshan and badda thanas on the North, khilgaon and motijheel thanas on the South, Khilgaon thana on the East, ramna and tejgaon industrial area thanas on the West in Map. 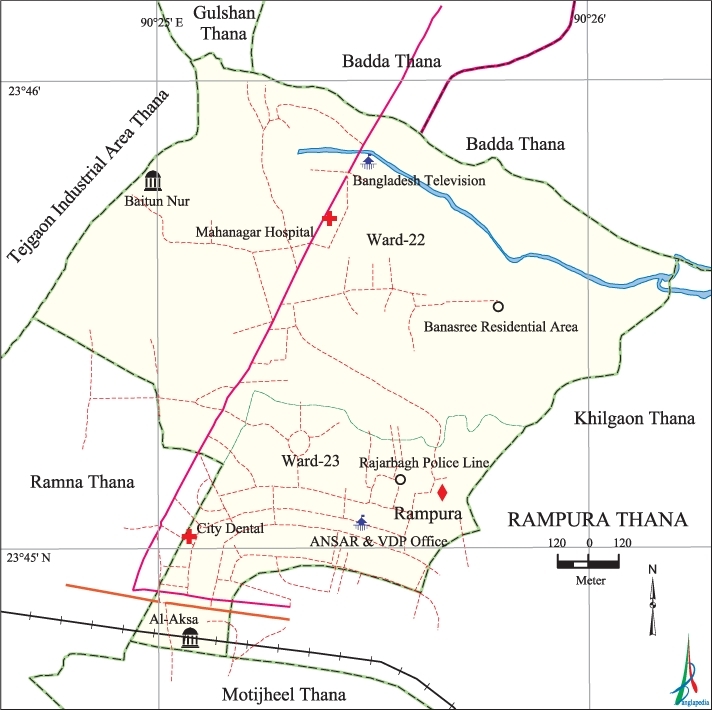 There are two Wards in Rampura: Ward no 22 and Ward 23. 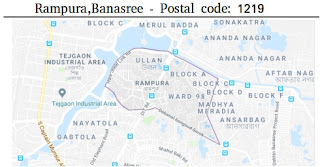 What is postal code of Rampura Area ? 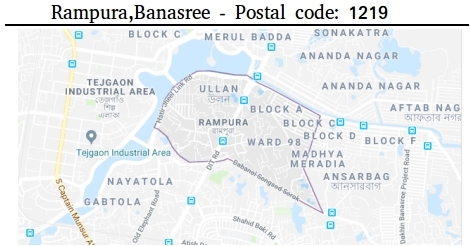 What is postal code of Banasree Area ?